Random Panel: Back when there was no such thing as an internal monologue. Or narrator. 4 Responses to Random Panel: Back when there was no such thing as an internal monologue. Or narrator. Surprise! She’s really a purple people eater in blonde bombshell disguise. 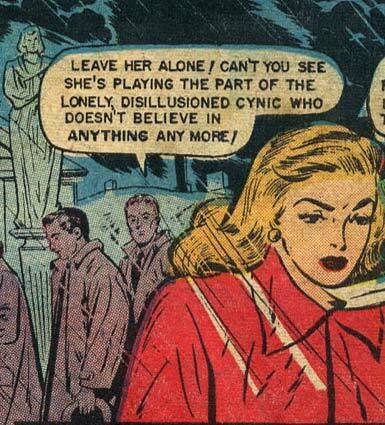 Well, she’s playing a lonely, disillusioned cynic better than Cameron Diaz would.